8 Rules for New Caregivers. Caregiving is one of the hardest jobs any of us will ever undertake. Please take time to read this article that I have added to my Blog that originally came from an AARP posting. 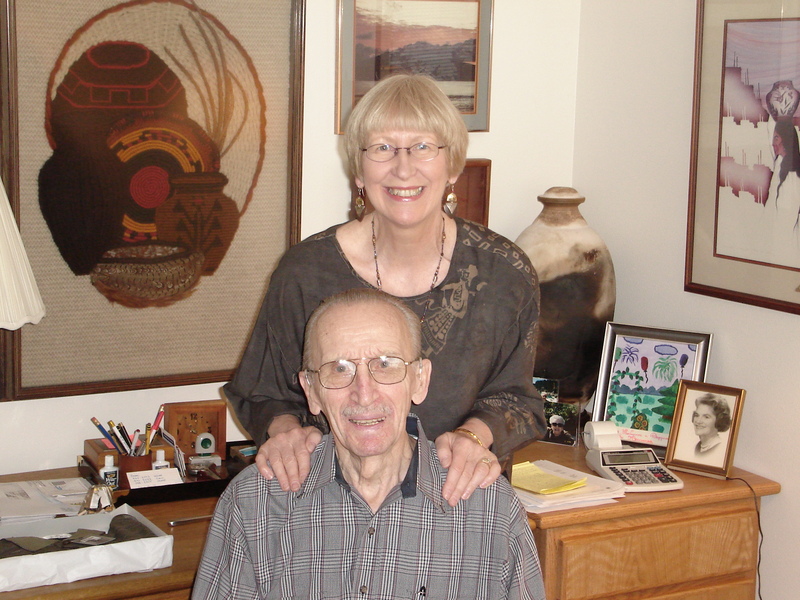 This entry was posted in Blog Category Headlines, Caregiving, Family issues, Senior Housing. Elder Fraud: a few things you can do to protect your loved one. A senior citizen receives mail that promises her the opportunity to receive a $10,000 Sweepstakes check but first she has to send the organization a $25 check or she is told to wire money in order to receive the proffered $10K. This same lonely person receives CONSTANT phone calls in which many demands are placed upon her to send money or they will come to her residence and cause her bodily harm. It doesn’t matter how many times you tell your loved one to hang up when she receives one of these calls. It doesn’t matter how many times you try to convince her that responding to the mail and/or the phone calls will not net her any positive financial results. She always responds, and because she’s still able to mail a check or drive to Western Union and wire money to these nefarious people, she keeps doing so and finds herself in a heap of financial trouble. Let’s consider the following mail fraud scenario: at a long-term care (LTC) facility, the staff, along with the resident’s family members, changed the resident’s phone number numerous times and rerouted her mail to go elsewhere, but because of the persistence and trickery of these unscrupulous people, they always managed to get through the filters set up to eradicate them. This particular resident’s apartment was finally searched by staff, at the suggestion of local law enforcement and with the permission of the resident, and what they found would make your blood boil. This resident had shoe boxes full of “Sweepstakes” documents, and once the apartment had been cleaned out, over a dozen large garbage bags filled with documents had been removed. Once this resident responded to these criminals by sending money, they had a victim upon which they could rely. I’m not going to address the issue of identity theft per se which is another prevalent type of fraud exacted upon elderly adults. Let’s concentrate on mail fraud which can certainly lead to identity theft. With mail fraud, which eventually can lead to “phone fraud,” the victim in question is oftentimes isolated, lonely, and as most senior citizens will tell you, is worried about having enough money to get her through her later years. The promise of a $10,000, or higher, windfall is just too good to resist. Let’s be honest with ourselves – we can’t resist this type of temptation either. If you’ve ever purchased a lottery ticket, and I’ve purchased many, you hope beyond all reason that this time the lottery ticket will have the winning numbers, because after all – somebody has to win! When you’re a senior citizen and money is tight, why not hope beyond all hope that the $10K Sweepstakes could be real, as unlikely as that may seem to us? So how does one put safeguards in place to ward off these types of criminals? My sister-in-law and my father in front of his desk. If you live close enough to your elderly loved one, have a look-see around their living space. Do you see any piles of envelopes that look suspiciously like one of these mail fraud schemes? When my father lived in a one-bedroom apartment in an assisted living facility, as he left the room to use the bathroom and/or to take a nap, I did some Irene-sized investigative work. I didn’t stop at simply looking at what was on top of his desk, I rummaged through the drawers. I looked at his checkbook register for suspicious outgoing checks (there were a few.) I tried to discern if there were any Sweepstakes letters from repeat offenders who thanked him for his previous money submission and asking for more – again, there were a few. I know that this investigative activity reeks of privacy invasion but if that meant protecting my very generous father who was in the early stages of dementia – I was willing to do so. And I didn’t stop there. I cleared his desk of all but one or two Sweepstakes envelopes so he wouldn’t notice that absolutely everything was gone, and I stuffed them in my backpack and took them home to shred. If you don’t live close enough to visit on an ongoing basis and suspect that your parent who lives in a long-term care facility is succumbing to this type of mail fraud, call a staff department head and ask him/her to have a look at what is visible on top of your loved one’s desk/coffee table. You shouldn’t ask staff members to open drawers – that’s inappropriate and is actually against most facilities’ resident privacy policies. Once you are aware of a concerning outcome, then you can take steps to provide personal intervention on your loved one’s behalf. A phone call to the local Long-Term Care Ombudsman Office located near your loved one will initiate a complaint and that office will attempt to resolve this matter on behalf of the resident – your family member. Phone fraud harassment – one step closer to elder abuse. I became aware of a woman who received numerous calls a week from these scammers, threatening her with bodily harm if she didn’t wire the requested funds. These criminals have no conscience whatsoever so they aren’t shy about yelling at the elderly victim; making fun of them when they cry on the phone because they’re afraid of the threats; calling the elderly person a loser and that they’ll never have enough money to carry them through the remainder of their pitiful lives. As cumbersome as it may be, I strongly suggest you have your loved one’s phone number changed. Only those who need to have the number: family, close friends, medical personnel, and facility administration, should be given the new number. You may have to do this several times before the stream of fraudster phone calls come to an end. Resources on which you can rely. The AARP website has links to resources that are very informational regarding elder fraud. Once you access their website you can link to the chapter that is active in your local area and you’ll find contact numbers for Fraud Fighter reporting. Additionally, the Attorney General’s Office (Washington State website linked here) is very helpful. Not only can you report cases of fraud through their website, you will also find a list of scams currently making the rounds. Let’s not forget the U.S. Postal Service as well. They have a postal inspection division that walks you through the steps of preventing and/or eliminating mail fraud. I think once you start typing elder fraud into an internet search engine, you’ll find numerous links, such as The Elder Fraud Project, that will prove helpful. Whatever you do – don’t sit idle and ignore the signs of mail fraud. I can guarantee you that the scammers trying to acquire as much of your loved one’s money as possible are not idle – they’re hard at work to enrich themselves at your loved one’s financial expense. 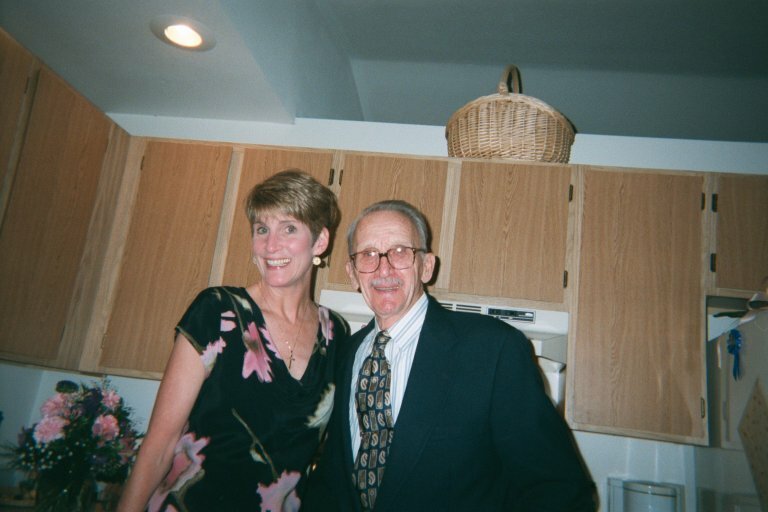 This entry was posted in Alzheimer's/Dementia, Blog Category Headlines, Elder Fraud & Abuse and tagged elder fraud, financial exploitation, mail fraud, phone fraud. 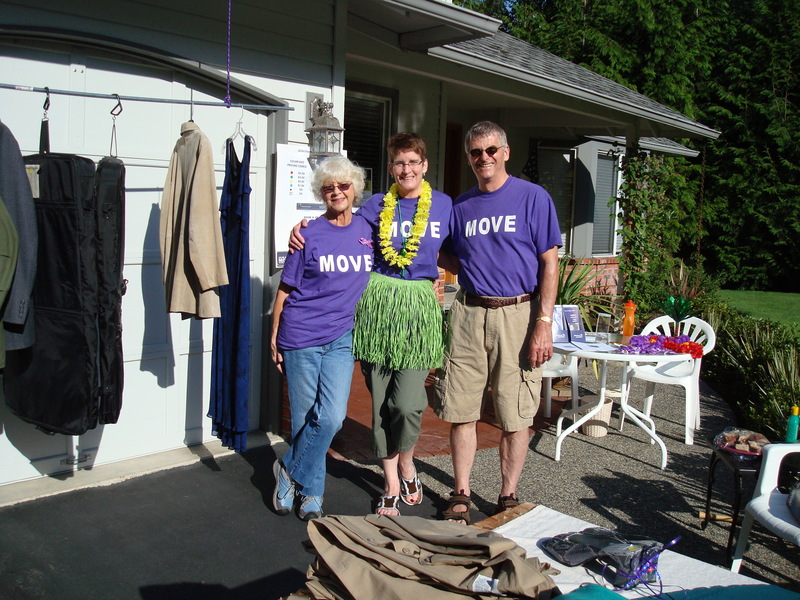 It only took 3 people to raise $100’s at a garage sale for the local Alzheimer’s Association. I’m so encouraged by the different types of advocacy that I’ve witnessed across this nation. Some advocate for the elderly, some the disenfranchised or marginalized, others advocate for the humane treatment of animals. Whichever the focus – it’s all about advocacy. The good news is that whether a person lives in Redmond, Washington, like myself, or Washington, DC – we are all making a difference in each of our small corners of the Universe. Imagine if everyone did just that. Instead of having the mindset that the only things worth doing are those which are grandiose and news worthy – and therefore believing that you have nothing to offer – do what you can, with what you have, and your impact will be grand. Many small, positive actions add up to great advances in the betterment of our world. Regardless of your age, you can make a difference in the lives of others. If you’re looking for something to do, consider helping an elder or two. Let’s face it, unless death comes early for us, we’re all going to enter the elder category at some point in the future. You may someday benefit from someone else’s tender loving respect and care. This entry was posted in Blog Category Headlines, Uncategorized and tagged Advocacy, Alzheimer's Association, elder care, Grace Lee Boggs, John Wesley, make a difference, making a difference, Senior Citizens. Senior Citizens are NOT children! An epidemic has taken hold of this Nation. Adults 70 years or older are being infantalized. Adult children have decided that their parents can’t do anything without their guidance. Service employees, e.g. restaurants, retail store clerks and the like, feel compelled to talk down to their Senior customers. Caregivers in long-term care (LTC) facilities further degrade the residents with baby talk. These residents downsized their living space; don’t downsize who they are by treating them as anything other than who they are: intelligent adults. Only you can put an end to this epidemic. If it is not eradicated by the time you reach the Senior Citizen age, you too will be subjected to its horrors. Mom moves into your house because of a financial or medical reason, and suddenly Mom has no say in what goes on in her life. Everywhere she turns, her son and daughter-in-law are bossing her around in the guise of trying to do what is best for her. Mom wants to stay up late reading or watching TV and she’s told she should go to bed. Mom wants to do this activity, or that activity with friends outside of the home and she’s told not to leave the house because the son and daughter-in-law want to make sure she doesn’t get into any trouble. Your Mom raised you and somehow you turned out o.k. She must have been a good parent, teacher, guidance counselor, child supporter, you name it. Just because she is living under your roof doesn’t mean she’s lost her right to have a say in matters that go on in the household. Ask her opinion from time to time. Let her somehow contribute to the functioning of the household, e.g. day-to-day participation in household functions, helping you with decisions you’re making about your own lives. Doing so will restore her pride and make her feel less superfluous. It’s quite o.k. to be concerned about her well-being – you should be – but you can do so without suffocating her. My mother with my daughter Erin, circa 1976. Why is it that wait-staff, retail sales clerks and the like feel an immediate need to speak super loudly to a Senior citizen customer? In my work with the elderly, I made this very mistake by talking loudly to a LTC resident I had just met. She finally interrupted me, put her hand on my knee and said, “Irene, I’m old; not deaf. Please stop yelling at me.” So simply lower your voice and don’t call her a pet name such as “Sweetie,” “Hon,” etc. I’ll never forget my mother’s phone call to me many years ago when she was barely over 70 years old. She went to the Dept. of Motor Vehicles to renew her driver’s license. After filling out the paperwork and getting her photo taken, it was time for her to leave with her newly issued license. The DMV clerk then said quite loudly, “Now Sweetie – before you leave, make sure that you have everything with you that you came with.” My mother called me that evening, both angered and in tears, bristling at the way in which she was treated. In my mother’s eyes, the DMV clerk downsized her intelligence and abilities and that thoughtless act forever changed my mother as a result. Please treat your Senior consumers with respect and with dignity. They know they are older than you are – you don’t have to remind them of that fact with your ill-placed attitudes and gestures. 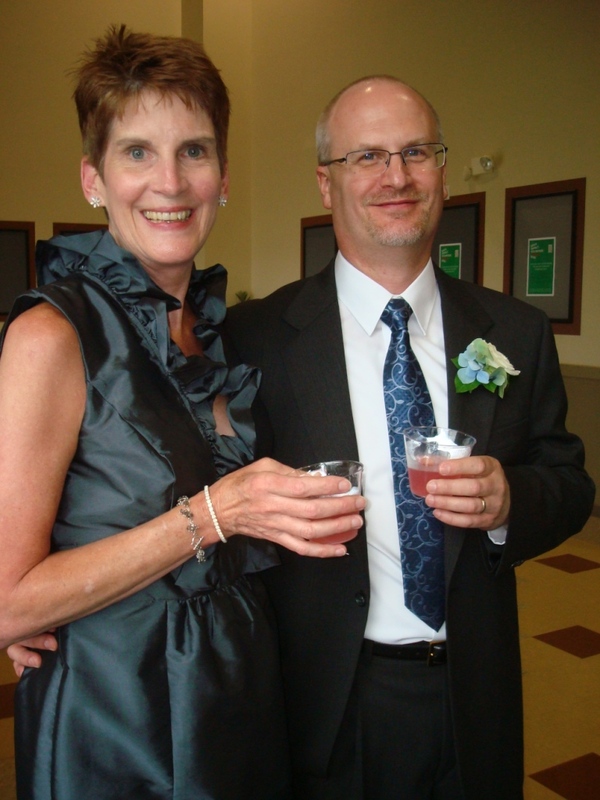 Here I am, 58 years old, with my hubby. Only HE is allowed to call me Dear. When I was 58 years old, a couple years ago, I picked up some items at my local grocery store and used the self-checkout counter to purchase my groceries. As I was leaving the store, the retail clerk said, “Thanks Dear!” A male customer who was older than me also went through the self-checkout at the same time but that retail clerk didn’t say a cutesy name to him! Oh Boy – she didn’t know what she had just started. I didn’t make a scene. I left the store, wrote a letter to the manager and included this blog entry/article with a suggestion that he update his store training to include my suggestions about how to treat Senior Citizens. He wrote me back to thank me and stated that he planned to provide updated sensitivity training to his staff. BRAVO! BOTTOM LINE FOR EVERYONE CONCERNED. These Senior Citizens with whom you have contact survived the Great Depression and at least one World War. Surely they have the ability, and the right, to be treated with respect and given the benefit of the doubt when it comes to making their own personal decisions. Don’t take away their ability prematurely. Eventually they may not have the ability to function independently, but it doesn’t do them any good for you to hasten the time in which that may happen. This entry was posted in 21st Century Living, Blog Category Headlines, Community outreach, Health & Wellness, Personal Struggles and tagged respect for our elders, Senior Citizens.